A fresh international alert has come at a time when Prime Minister Narendra Modi begins his first UK visit: A study carried out by three top scholars for the London School of Economics (LSE) has said that at 8.6 per cent rate of growth officially projected by the Government of india, the country is all set to emit 9,285 million tonnes of carbon dioxide per annum by 2030, next only to that of China. The study, titled “Intended nationally determined contributions: what are the implications for greenhouse gas emissions in 2030?”, by Rodney Boyd, Joe Cranston Turner and Bob Ward, said that such high emission would come even if India achieves the target of 33–35% improvement in emissions intensity by 2030. China, which will be No 1 polluter, on the other hand, would be emitting nearly double CO2 than that of India –16,256 million tonnes –if its official growth projections of 7 per cent till 2020 and 5.33 per cent between 2020 and 2030. 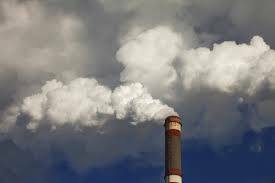 The European Union is projected to emit 3,126 million tonnes of CO2 by 2030, Japan 1,008 million tonnes of CO2, and the United States 4,028 million tonnes of CO2 emission. The revelation comes even as Modi is likely to ask UK officials to share breakthroughs in renewable energy and other ‘clean’ technologies and for help financing a huge expansion in efficiency and solar and wind power. India finds this particularly essential, as it has pledged before the United Nations to increase carbon and other greenhouse gas emissions more slowly than the economy grows. It said, this scenario is particularly significant in the context of the fact that one in five of India’s population – 240 million people – “still lacks access to electricity”, and meeting India’s energy “needs requires a huge commitment of capital and constant vigilance as to the implications for energy security and the environment”. The IEA report insisted, “Pressing ahead with the overhaul of India’s energy regulatory framework is critical to secure the estimated $2.8 trillion of investment that is needed in energy supply to 2040”, adding, “three-quarters of this investment” will go to the power sector, “which needs to almost quadruple in size to keep up with projected electricity demand, but which remains beset for now by high network losses and high financial losses among the local distribution utilities.